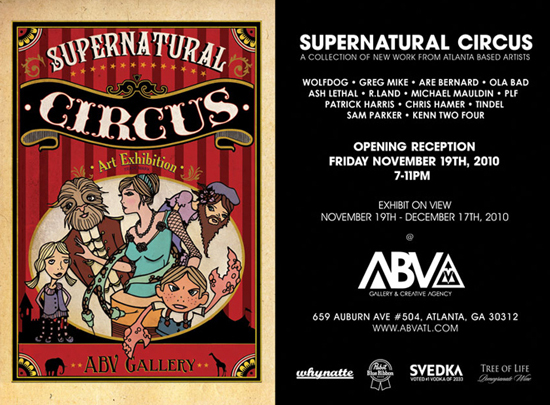 I will be releasing new work for the group show "Supernatural Circus", November 19th at ABV GALLERY. The show features all Atlanta based artists and should be an exhibition of visual rarities. The opening reception starts at 7PM and runs till 11PM. Looking forward to a great evening, hope to see you there!